Ghosts or spirits are more popularly known in West Indian folklore as duppies. The belief in duppies is anchored in the theory of survival after death. Or, that there is no death. Those who pass just move from one form of existence to another. Most importantly, in the eyes of the believers, duppies are all powerful shadows of dead people. They are hugely feared. Demonstrative of their power are the beliefs that duppies regularly harm people. A duppy’s breath can make you sick, its touch can cause seizures. Duppy-induced injuries are often cited as an excuse to miss work. Duppy boxing (being slapped in the face by a duppy) is commonplace amongst all ages, with many people developing palsies and disfigurements after being attacked in this way. Jamaicans, especially those of the rural proletariat and peasantry, are highly suspicious and fearful of these evil spirits, and are generally indirectly or directly armed via folklore with what can be considered to be a toolkit or bag of tricks to protect themselves not just from the arbitrary duppy encounter, but also from obeah, where a spirit is conjured up using a variety of lures to do evil. Duppy protection rituals vary from parish to parish. Typical would be the use of nails. In St. Thomas, nails are used to pin the deceased (i.e. driven as close as possible through clothing into the coffin itself). In Cockpit Country, the nails are driven through the soles of the deceased feet (i.e. into the phalanges). Throughout the island, the blood of white chickens is often spread inside homes to ward off duppies. It not unusual to hear that individuals have a clove of garlic or nutmeg concealed somewhere on their person as a preventative measure. Both are supposed to keep the spirits away. I personally have had three memorable duppy encounters! The circumstances which validate my experiences differ considerably but are all indirectly connected to ignorance. My formative years were spent in Birmingham (UK), I was not only unprepared, never giving an ear to the local old wives tales, I was always somewhat of a sceptic. The following is a true and accurate account of my second encounter with the paranormal. In the summer of 1992, I began working as an archaeologist with the Jamaica National Heritage Trust. By all accounts, this was a great job. The Trust owned historic buildings and properties island-wide. These properties’ buildings had to be serviced, hence; I got to travel throughout the country, gaining an intimate knowledge of the island’s geography, nuances in cuisine, and communication routes. I considered myself very fortunate to have landed the position. It was around this same period that the Trust began giving a facelift to their Seville Plantation House, polishing exhibits and organizing decent presentations to visitors. Photographs of Seville Plantation House. A front view showing its formal entrance (above) taken from a northerly direction. The picture below is taken from the rear in a southwesterly direction to illustrate the patio (Veranda’s) view of the sea. Despite my constant debate expressing how much of a waste of time it would be going back to Port Royal (60 miles from Seville Plantation) that night only to return first thing in the morning, my crew members insisted on going home. As dusk drew, they quickly cleaned up and embarked on what I considered a tiresome trek back to Kingston. I would stay. I had travelled from Kingston and was prepared to stay the night. I was perfectly comfortable with my surroundings. I had slept in the house many times before, accompanied by students of Syracuse University during their field school. I didn’t see why things were any different this time around. Furthermore, I wouldn’t be alone. Mr Percy was there too. Mr Percy was another good reason to stay. Impressed with how much I had travelled throughout the island, he had taken a liking to me and we had become close friends. I guess I reminded him of himself, 40 years earlier. He had left home as a young man in the early 1960s and travelled throughout Jamaica working at various odd jobs until finally being employed by the Trust as a general laborer. After many years, he was promoted to caretaker of the Seville Plantation House. He occupied two rooms to the rear, attached to but adjacent to the main building. Before turning in for bed, Mr Percy and I had dinner and joked around. Mr Percy had worked with many notable archaeologists. He reminisced about their peculiarities. I listened in awe. I slept in one of the front rooms with the window open so I could enjoy the famous sea breeze for which the northern coast of Jamaica is famous. I woke up around midnight and couldn’t believe my eyes. Standing naked over me, was a beautiful black woman. Quickly scanning her person, I asked, “Who are you? Where are you from? Why are you here naked?” Starring at me, she gave no replies. Until this day I have no idea what made me say what came from my mouth next. I said to her, “Well it’s too late for you to go home now!! Put your clothes on, you can sleep beside me tonight, but tomorrow morning as early as possible, run on home to your mother as now she must be very worried.” Turning my head in the opposite direction, I adjusted my position from the center of the bed to the far left. I didn’t see her put her clothes on. I felt the mattress shift from the added weight as she lay on the bed. Without looking I gave her the sheet to cover herself. I remember thinking that I couldn’t understand why this young lady wouldn’t speak to me. As I fell back to sleep, saying to myself whatever the problem was we could clear it up in the morning. I immediately knew something was wrong. As I relayed my story, my audience laughed so hard they could hardly stand. To date, other than that she is of African descent, very little is known about the young lady’s origins. Always naked, there is nothing diagnostic to establish her provenance. Both the Spanish and English had slaves and the property through which she traverses has had a long history of African habitation, as slaves and free people. Seville Plantation was established on the site of Columbus’ initial landing in 1494. 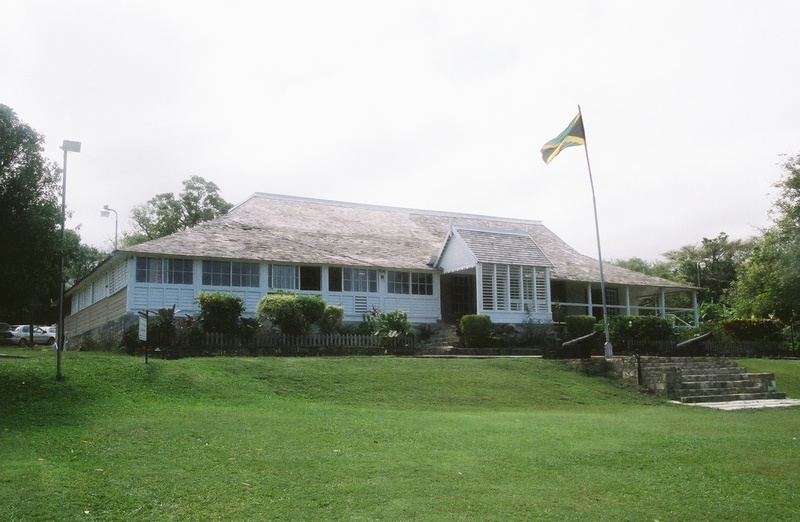 Between 1509 and the establishment of Spanish Town in1534, as a hacienda, the house and its then formal gardens overlooked Jamaica’s first capital, New Seville. With the shift of the capital, the area’s popularity declined and the old capital fell into disrepair. Later with the capture of Jamaica by Cromwell’s forces, New Seville was abandoned. To establish their presence and prevent recapture by the Spanish, all lands on the northern side of the island were divided in varying quantities and allotted to English officers and soldiers. It was through this allotment that the ruined city of New Seville and surrounding lands became the property of English officer Captain Hemming. 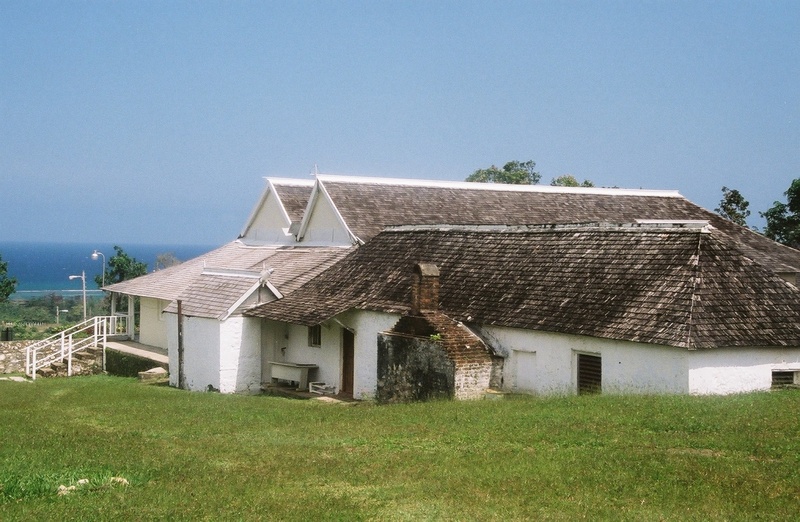 It remained in the Hemming family as a sugar plantation until well into the second half of the twentieth century when the property was deeded by the surviving heirs as a gift to the Jamaican people. The current house was built in 1745 by Hemming’s grandson. Now it all made sense. Turns out this young lady had been haunting the property for decades and caused many young men working for the Trust to run out of their beds. Her last “victim” was the department’s graphic artist who jumped through a closed window, sustaining numerous cuts and bruises. The property was also used as a shortcut from the town of St. Anne’s Bay to a few of the surrounding hamlets. Fearful of being chased or followed home, very few young men will chance walking the property roads and footpaths alone at night. My crew, all of whom had been working for the Trust for years prior to me, were well acquainted with the rumors and history of her lying in wait for a lone, unsuspecting male. In fact, it had been less than three years since she walked in on the company’s graphic artist. This entry was posted on March 31, 2012 at 8:04 am and is filed under Articles, Arts, Black British Literature, Black History, Books, Community, Culture, Current Affairs, Education, Fiction, News, Newsletter, Publications, Short Story, Writing with tags Articles, Arts, Black British Literature, Black History, Black History Month, Books, Community, Culture, Current Affairs, Education, Fiction, News, Newsletter, Publications, Short Story, Writing. You can follow any responses to this entry through the RSS 2.0 feed. You can leave a response, or trackback from your own site. A beautiful naked gal ‘a stan’ by yu’ bed,an’ yu tun ‘ yu’ back pon her an’go sleep?Yu’ tink seh wi fool or what?